It’s one of the biggest light shows in the world. For nine years now, Sydneysiders have basked in the enchanting glow of VIVID, as their city comes alive after dark. 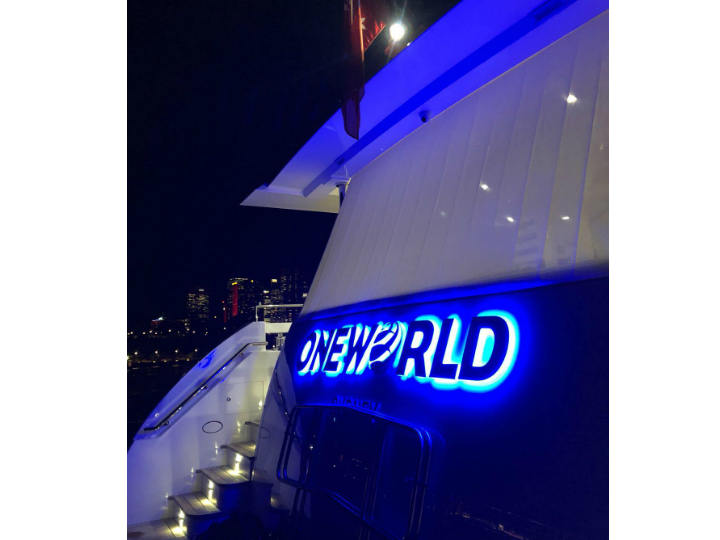 On Wednesday night, a select group of just 45 lucky guests were given the opportunity to see the light show from the water on board the superyacht ONEWORLD. In conjunction with Trivett Bespoke and Ocean Alliance, the event took guests around a sparkling Sydney Harbour, allowing them to see the breathtaking view of VIVID from an entirely new vantage point. Guests were treated to bottles of MUMM champagne and an elegant menu featuring Sydney rock oysters with champagne vinaigrette, eight-hour free range Suffolk lamb with salsa verde and mixed grains, smokey pulled-pork sliders with summer slaw and Belgian chocolate hazelnut squares. Managing director of Ocean Alliance, Joachim Howard, told Robb Report Australia the event was a “great success”. "The joint event with Ocean Alliance, ONEWORLD, Robb Report and Trivett was a great success. The brands are very aligned and all cater to a specific market segment. 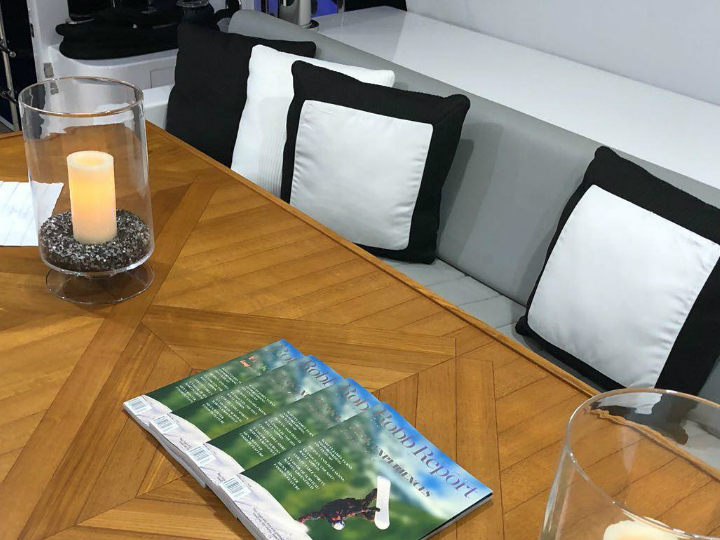 "Our selected guests enjoyed a spectacular night onboard the newest superyacht to the Australian charter market," Howard said.